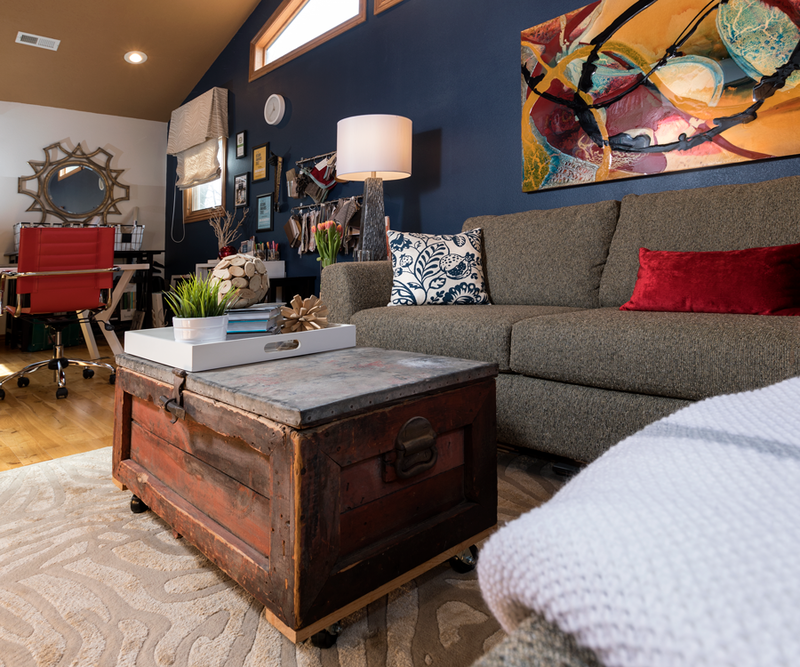 This long bonus room was inefficiently used as an office. 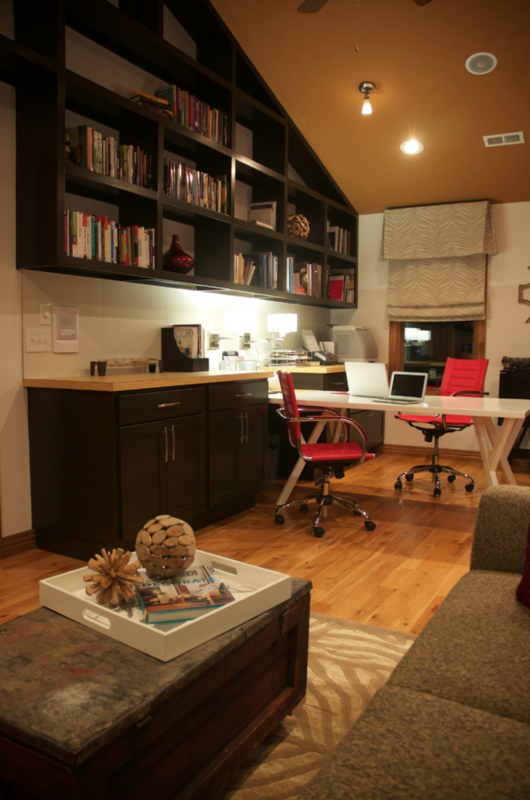 The space needed to accommodate both husband (a computer programmer) and wife (a interior designer) and provide sufficient room and storage for each person’s work zone. By lining one wall with cabinetry and shelving—that spanned the entire peaked ceiling—there is now adequate room for reference and sample books. The long room was split into two zones: work and relaxation. 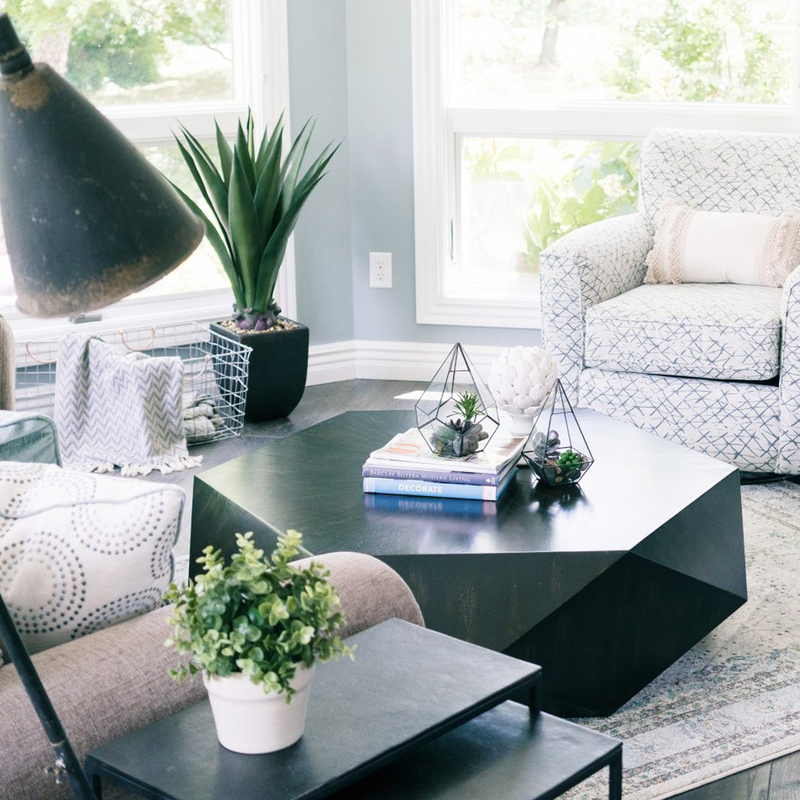 The seating area features a sleek grey sectional, neutral zebra rug, and a repurposed tool chest belonging to the wife’s great-grandfather. 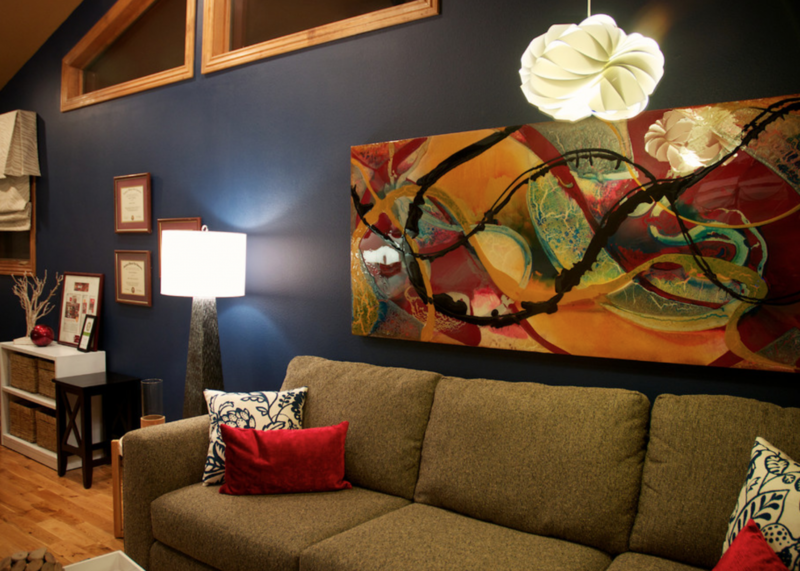 A large original art installation sets the tone of creativity through its liberal use of color and movement. 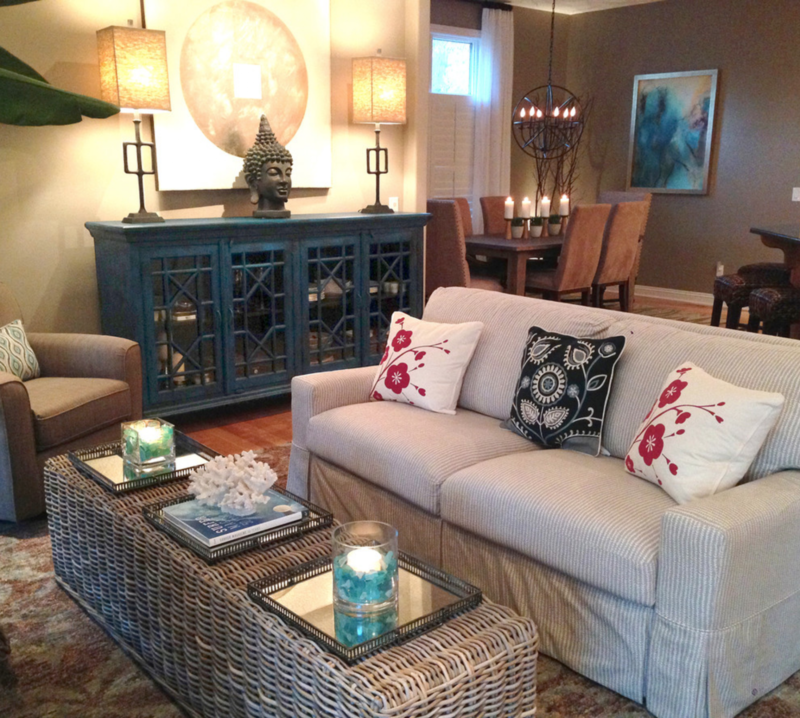 A modern cloud pendant replaces one of the existing recessed lights over the seating area. 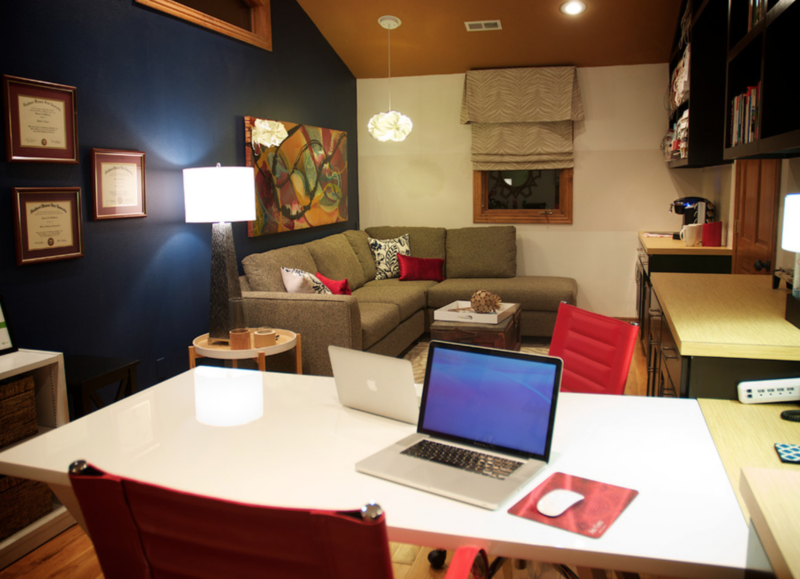 The work area features a white dining table that is wide enough to give ample room for both spouses. Bright red desk chairs give a pop of color. The ceiling was painted a warm carmel, imitating the wood floors. 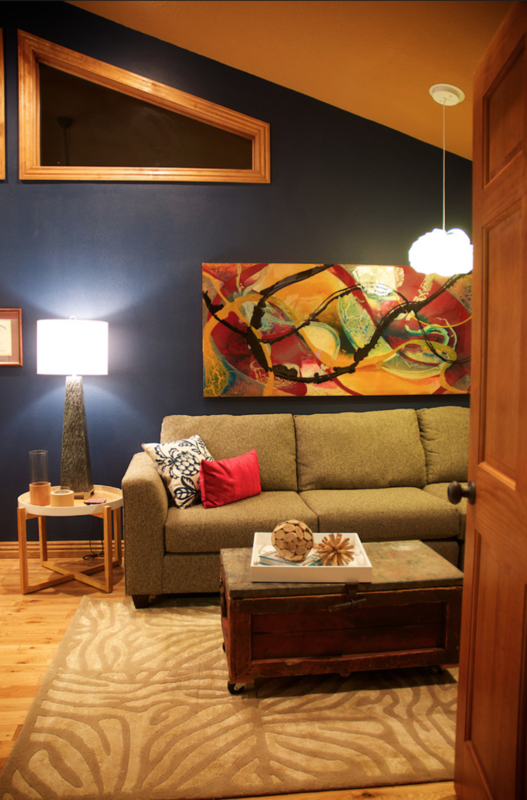 A midnight blue accent wall grounds the bold colors of the art and chairs. 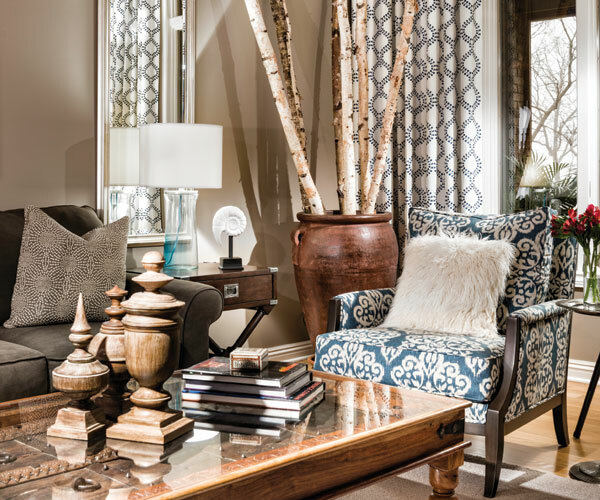 Custom window treatments serve to control glaring light on the work station. 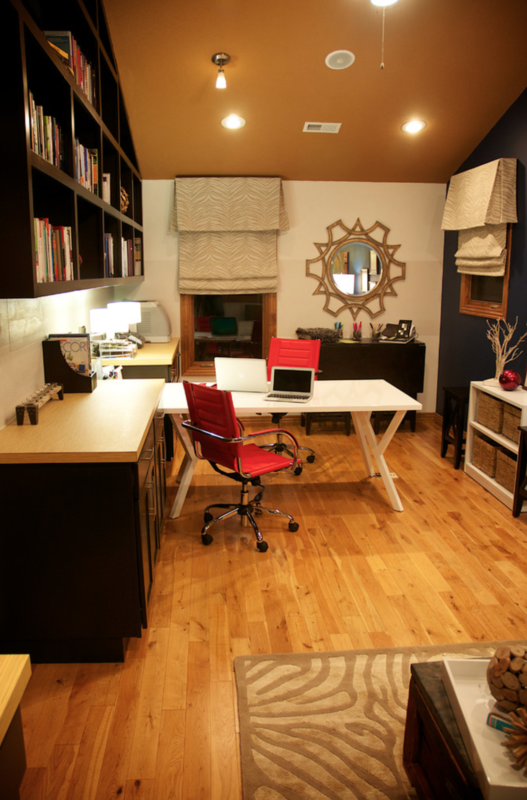 The room now functions as a center of creativity and productivity.